This valuable position is responsible for keeping track of all dialogue spoken by the actors as it compares to the script. When actors improvise, the Script Supervisor makes adjustments in the script to reflect the changes in dialogue, and then ensures the actors stick with them for each upcoming take. This is to maintain continuous verbal and visual integrity in the production. This goes beyond dialogue; it also includes wardrobe, hair, and props used by the actors. Essentially, the Script Supervisor’s job is to ensure that the final product does not contain distracting errors to the viewers. This person’s job is to interpret the producer and director’s concept and translate it visually. They must have knowledge of the time period in which the piece takes place, the type of clothing and makeup worn, and they should know how to use color and various other materials to communicate this vision and help create the world for the actors to live in. When an actor steps on set and crosses through a room or picks up a prop, they can know that an enormous amount of thought, research, and preparation went into the selection of the items and environment, which can help to enrich the character’s life. The Gaffer lights the world that the actors live in. They are responsible for the execution and, at times, the design of the lighting on a production. Visually, this is one of the most impactful aspects of a production. An actor needs to remember it’s not just about how they look; there are many other aspects to lighting – an overall look and vibe of a film or show. And the Gaffer is taking all of this into account when they are lighting the scene. The AD is the person responsible for tracking daily progress against the production schedule. They’re also responsible for the safety of the cast and crew, and for maintaining general order on set. An actor on set should pay full attention to what an AD tells them, especially when it has to do with health and safety issues. They will make your job easier and safer. Essentially, the AD runs the set. As a Line Producer, I am responsible for the budget of the film and the allocation of funds to each area of the production. A Line Producer is also responsible for the day-to-day operations of the cast and crew. Where an AD runs the set, the Line Producer runs the production. 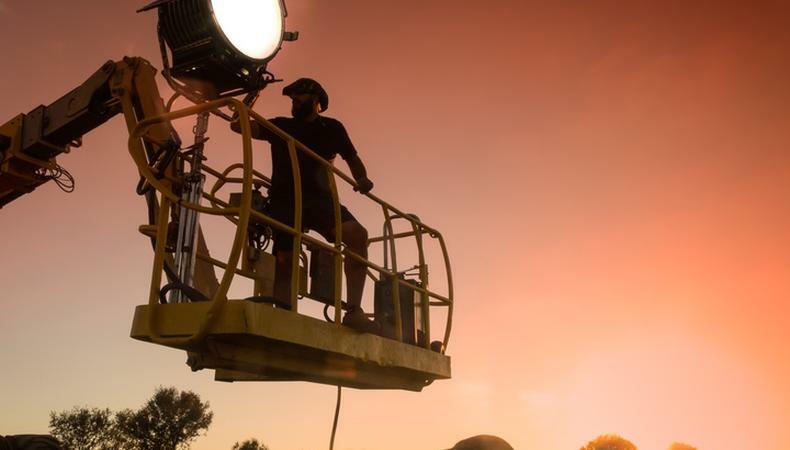 One of the biggest issues a Line Producer can face is a production running behind schedule, which can lead to added expenses, like overtime on locations, overtime with cast and crew, meal penalties, etc. When a project runs behind, it can start to affect the actual creativity and quality of the production. An actor being on time, fully prepared and alert, ensures he is doing his or her part to help the team keep things on track and contribute to a better overall outcome of the production. *This post was originally published on Dec. 5, 2016. It has since been updated.